"Paul Vinson is a Pensacola Native songwriter who has played many shows all around the Greater Pensacola area. His eclectic style and smooth, soulful vocals bring a raw sense of honesty and passion to his music. Growing up in church and playing music there Paul fell in love with the emotion that can be withdrawn from the dynamics of Worship music. With influences ranging from Stevie Ray Vaughn and John Mayer to Ed Sheeran and Hozier, Paul brings a unique sound that is both new, yet immediately familiar. The authenticity of the lyrics ropes you in and brings you a little closer to home. 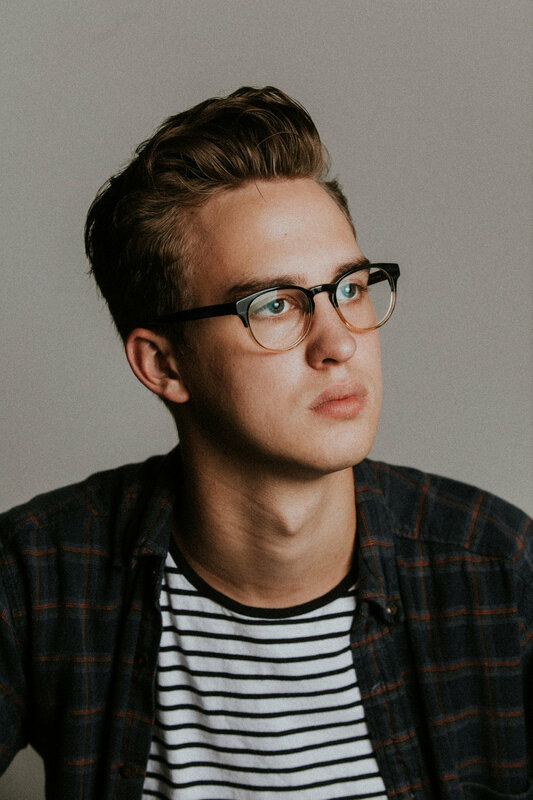 Paul has just recently released his debut EP “Leaving Home EP” and wrapped up his first tour he called “The Dorm Tour” where he traveled over 4,000 miles playing shows all over the eastern United States"
"If you want to get to know 18-year-old singer-songwriter Paul Vinson, you can listen to his songs. Or watch his video blogs. We suggest you do both. Vinson released his first EP “Leaving Home” on Apple Music and Spotify June 2, which includes five original songs. His sound is an eclectic mix of blues and folk fusion, soulful vocals, with a bit of pop rock peppered in. All of that diversity makes sense when you do some digging into his history. Vinson has a strong musical background, and the support of his family and friends played an integral role in shaping him as a musician." “At 18-years old Vinson has planned, organized, and booked an entire concert tour over the course of 18 days, 13 shows, and 3,500 miles of driving. Vinson will go as far north as New York City and as far west as Hattiesburg, Miss.. But here’s the catch — all of the shows are free and in college dorm rooms.